What does a good lithium assay look like? We reached out to Catherine Hickson, world renowned volcanologist and director of Dajin Resources, to get some insight. With all of the excitement going on in the lithium sector, it can be difficult for investors to know what to look for. Take assay results from lithium exploration projects, for example. What does a good lithium assay look like? With all of the lithium juniors staking claims in Nevada’s Clayton Valley and beyond, investors interested in early stage lithium explorers will need to know their stuff in order to accurately assess all of the options available. To get a bit more insight into that subject, the Investing News Network reached out to Catherine Hickson, world renowned volcanologist and director of Dajin Resources (TSXV:DJI,OTCMKTS:DJIFF), for her thoughts. With her permission, we’re sharing the key points from her emailed note here. Not surprisingly, the quality of a lithium assay depends on a number of different factors, including the type of deposit and its location. The points below pertain mainly to brine and clay based lithium deposits. Hard-rock spodumene deposits must be considered differently. It actually depends on the area and whether we are talking about brines or sediment samples. Many high numbers (i.e., > 400 ppm) are common in sediment samples from the playas in Nevada. Mostly this is Li that is bound up in hectorite and other types of clay and evaporitic minerals. These types of minerals have proven difficult from an extraction perspective (see for example the work of Western Lithium (now Lithium Americas (TSX:LAC)) on their King’s Valley property. These lithium rich clays do have other uses, such as “muds” in drilling applications such as oil wells. In terms of brines, in Nevada values above 100 ppm would be very encouraging, and numbers in the 400 ppm would be very good. For Argentina you would like to see numbers above 400 ppm. Some of the new extraction technologies claim to be able to be able to profitably extract lithium from brines with as little as 20 ppm lithium (see for example Pure Energy’s (TSXV:PE) 43-101 from last year). So I guess if this is true anything above 20 ppm would be a winner – but I remain somewhat skeptical. One thing that is important to consider is the actual brine chemistry. For example, if a brine is high in magnesium it is both costly and a challenge to create a high purity final product. The Salar de Uyuni in Bolivia, for example, has very high lithium values in the brines but also has proven a challenge to purify cost effectively. The same is true with some of the brines from Utah (i.e., the Great Salt Lake and other places). They have high lithium values, but also high magnesium. So…it is not just about the numbers! Certainly, there’s plenty to consider when looking at exploration results from junior lithium companies. 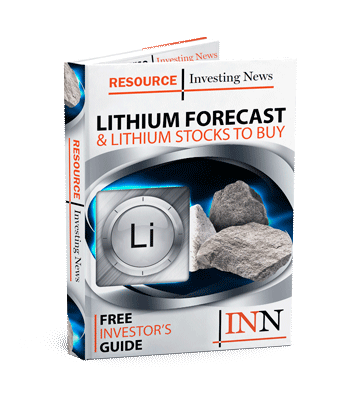 Whether it’s a lithium junior that has just entered the space, or one that is at a more advanced stage, investors should have a strong grasp of the company’s project and how to assess drilling and exploration results. Editorial Disclosure: Dajin Resources is a client of the Investing News Network. This article is part of the company’s paid advertising campaign. I am investing in Li and curious why Nevada’s good with 100ppm concentration, while Argentina is with 400?